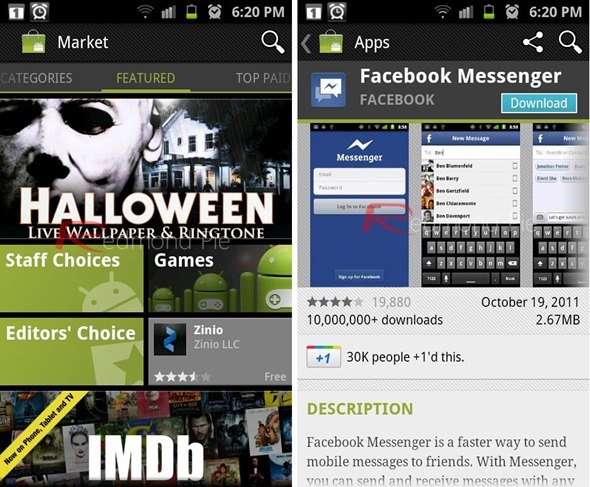 Android Market Updated To v3.3.11 With Cleaner UI, Auto-Update Apps And Update Over WiFi Only – Download APK Now! Google is currently rolling out a somewhat significant update to Android Market right now; we’ve discussed its new features and even have a direct download link of its APK after the break! The news comes from our friends over on Android Police – a popular blog which covers all things Android – in a post where they talk about the updated Market app. The updated Android Market app – version number v3.3.11, up from the Market 3.2 leaked a couple of weeks ago – brings a handful of long-demanded features: users can now enable all apps to update automatically as soon as an update is available, conserve data usage by setting apps to update over Wi-Fi only and let Market automatically add shortcuts for newly installed apps. These new settings can be enabled (or, of course, disabled) from Menu button > Settings. Android Market also gets a minor facelift as well in this update as they are plenty of small UI tweaks such as a smaller font size, a sleeker icon and an updated review section which prominently shows the app’s score along with how many 5-1 star reviews it has received. There are two ways you can get the updated Market for your Android device: a. wait for Google to push it your device (which can take a lot of time) or b. install it yourself right now! If you’re still reading, it’s probably because you want to go for option b. For that, you must first ensure that you have enabled Unknown Sources from Menu button > Settings > Applications. 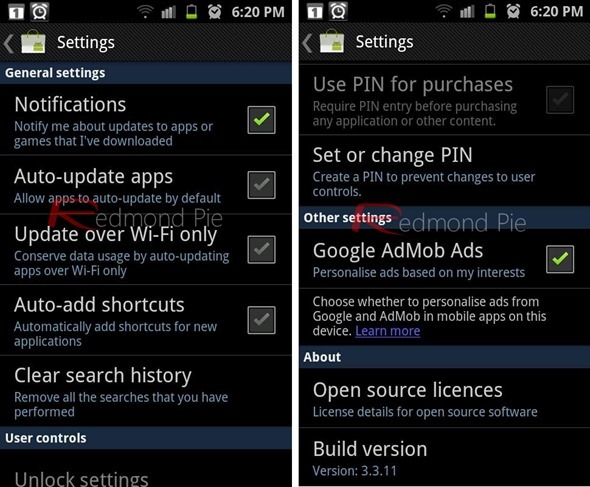 After that, you will need to download the APK file to your device from one of the links embedded below and install it. You do not need to be rooted. To save our readers from any inconvenience, we have tested the APK file on a Samsung Galaxy S II and can confirm that it works as claimed. If you do give it a try, let us know what you think of it in the comments section over on our Facebook page! Note: Multiple reports suggest that the app is not stable on Honeycomb tablets, so in case you were intending to install this on your Honeycomb tablet: don’t.